Having work done on your car but still have places you need to be? 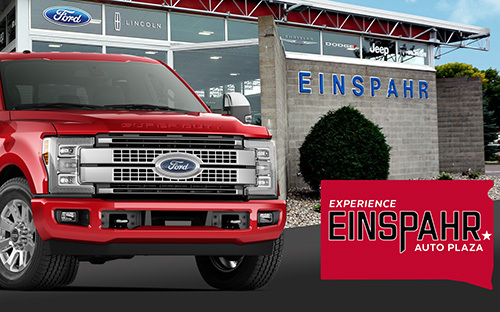 Here at Einspahr Auto Plaza we offer two convenient ways for our customers to get where they're going even when their vehicle is in for repairs. For customers who just need to get from point A to B, take advantage of our shuttle service. One of our friendly drivers will be happy to take you from our service department to any destination within the city limits of Brookings and pick you up again when your vehicle is done. If your vehicle will be in the shop for more than a day or you must travel outside of Brookings, we have a small fleet of loaner vehicles can be arranged for you to use during that time. Please keep in mind that loaner vehicles are not guaranteed for everyone, talk to your service advisor during your appointment set up to see if one will be available. 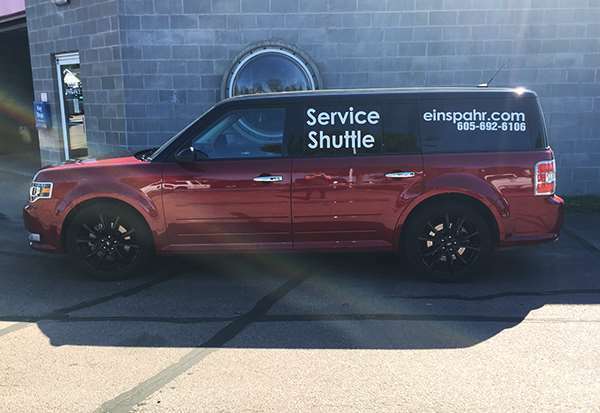 Ask your service advisor for more details on our loaner vehicles or our shuttle services to see which option would be best for you! We strive to make your visit easy for you during service appointments. 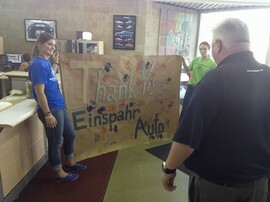 Trust Einspahr for quality service and auto repair needs.